McKnight has earned national recognition for fostering a culture of collaboration, innovation, and inclusiveness that empowers our diverse teams to achieve our shared mission. Named one of the best workplaces for women and one of the best small workplaces in the nation, McKnight offers a high-trust, high-performing workplace culture that encourages continuous learning and improvement across a wide array of program interests. Our staff enjoy excellent benefits and appreciate the chance to take on meaningful work alongside caring, talented colleagues in a beautiful location. Please note: The Foundation does not maintain employment or internship information about our grantees or other organizations. We also do not accept or respond to unsolicited job inquiries or résumés. 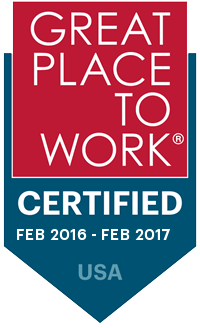 We are proud to be officially certified as a Great Place to Work® with 100% of McKnight staff expressing in an anonymous survey that the McKnight Foundation is, all things considered, a great place to work!